You might have seen the new editorial campaign for the collaboration between the American artist Jeff Koons and the French luxury house Louis Vuitton, the title of this collaboration: The Master collection. The collection consists of bags, scarves and other leather goods. The design of the bags are Louis Vuitton’s most classic designs (and therefore the masters of their brand), but most importantly the master in Master collection refers to the fabric ‘design.’ Koons has taken high quality images of famous art works, printed them onto leather and together Vuitton and Koons have created them into a commerce meets art collection. 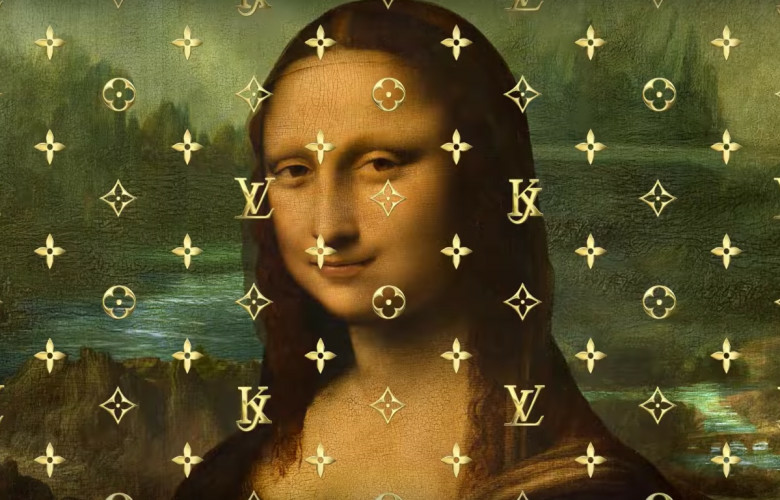 Vuitton has chosen designs that have made their brand and Koons has chosen works by Titian, Rubens, Fragonard, Da Vinci and Van Gogh, key figures in art history. 9th April 2017 marked the opening of The Treasures from the wreck of the Unbelievable an exhibition by Damian Hirst at Palazzo Grassi and Punta della Dogana, Venice. As the title suggests, the exhibition is built around the story of the treasures on the shipwreck The Unbelievable. The treasures were acquired by the freed slave Cif Amotan II and when the ship sunk its treasure were thought to have been lost forever. Until Hirst and a team of archaeologists got the funds together to retrieve the treasures from the bottom of the sea. This, of course, is nothing but a fairy tale, a story Hirst has made up to tie together all the different objects this exhibition holds. And it holds a lot, the exhibition fills not one, but two museums. There are sphinxes, sculptures, jewellery, an Aztec calendar and Medusa’s mask amongst other pieces. All are covered in coral and are modern reinventions of classics. However, looking closely at the works, little coral covered figures are toy transformer, ‘Sea World’ is imprinted on another, ‘Made in China’ bursts another bubble and a torso partly covered in coral looks remarkably like the artist himself. Both projects, although very different in nature, pose a similar approach to art. They blur the lines between fashion, kitsch, history, art and above all embrace the old by making something new. The fashionistas walking around the world with their newest on trend LV bags, will be (knowingly or unknowingly) holding an icon embedded with historical depth. Not only do Koons’ bags portray some of the world’s most famous paintings, each and every bag also has a little text about the artist and his work written in it. Hirst, although his exhibition is further removed from direct history, the beholder does take away a sense of a forgotten time and world. Hirst’s works are laden with cultural references to the Aztecs, Egyptians, Romans, Greeks and the pièce the résistance is a 60ft tall reference to William Blake’s A Ghost of a Flea.